Tara uses massage therapy specifically tailored for the expectant mother, taking into account her stage of pregnancy and any individual concerns or personal requirements. Massage is a luxurious and deeply relaxing experience with the mother's body positioned and supported to ensure comfort and safety throughout the session. Massage techniques are modified and concentrate on relieving some of the common conditions of pregnancy - swelling in the arms and legs, aches and pains in muscles and joints, discomfort in the lower back and pelvis - and helping improve elasticity in the skin. Massage therapy is suitable for pregnant women from 14 weeks to birth and regular sessions can help prepare the body for labour. This complete face and body treatment effectively reduces muscle tension and encourages deep relaxation during pregnancy. A full body massage is followed by a gentle application of a rich body mask to the 'bump' and a calming facial massage. ﻿﻿Tara's post-natal massage can help to relieve swollen puffy legs, tone and firm the skin, relax and restore energy levels. Massage techniques are modified and concentrate on relieving some of the common conditions of post pregnancy - tension in the lower and upper back, shoulders and neck, aches and pains in muscles and joints. Personalised to your post baby needs and requirements this treatment will deeply nourish, hydrate and balance your body. A luxurious holistic facial using organic skincare products. A double facial cleanse and gentle exfoliation is followed by a targeted treatment mask and lymphatic facial massage using Pai Rosehip Massage Oil. Combined with a relaxing neck and shoulder or foot massage. A deeply relaxing experience, leaving skin looking refreshed and revived. 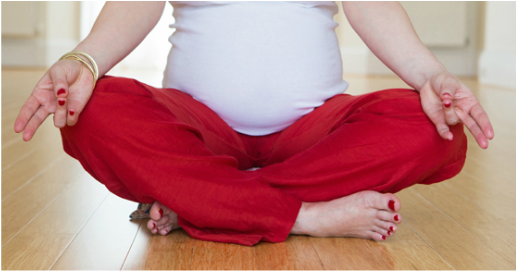 For more information on Pregnancy Yoga Classes in York click here.